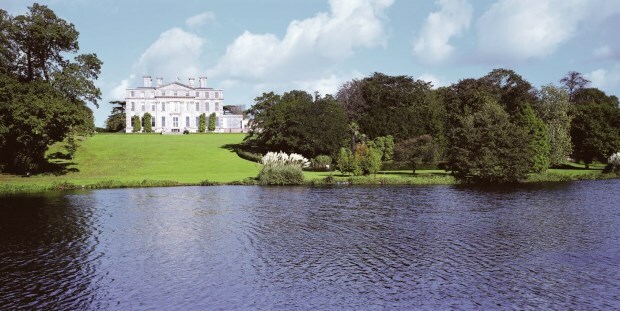 The venue for the indoor morning sessions will be Kingston Maurward, an eighteenth century mansion house set in a peaceful parkland setting just outside Dorchester. 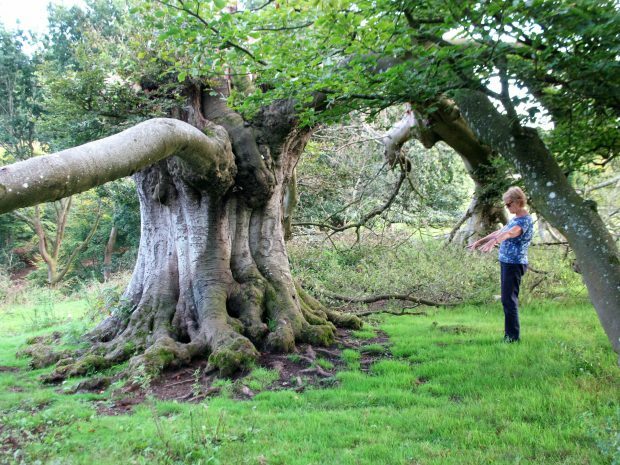 In the afternoons we will be visiting some of Dorset’s finest sites for ancient and veteran trees. During the mornings, at Kingston Maurward, there will be presentations from experts on a range of topics including how we age trees and the landscapes and legacy of Capability Brown. 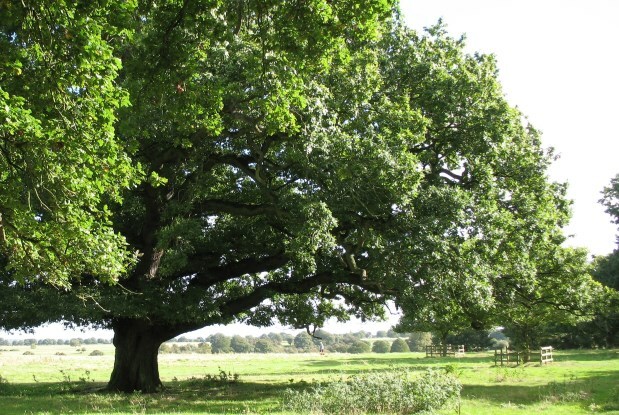 You’ll also have a chance to hear about the ATF’s current work, and about the sites we will be visiting in the afternoons, and there will be opportunities for discussion with other ancient tree owners, managers and professionals. See the programme here, but please note that there may be some minor changes to the programme. Kingston Maurward is the home of a college offering arboricultural and other land-based courses, as well as a conference centre. The afternoon site visits provide an opportunity to hear more from the experts and to discuss management issues. On the first afternoon, we will visit Turnworth Down, near Blandford Forum, a National Trust wood pasture site which was formerly an iron age settlement. 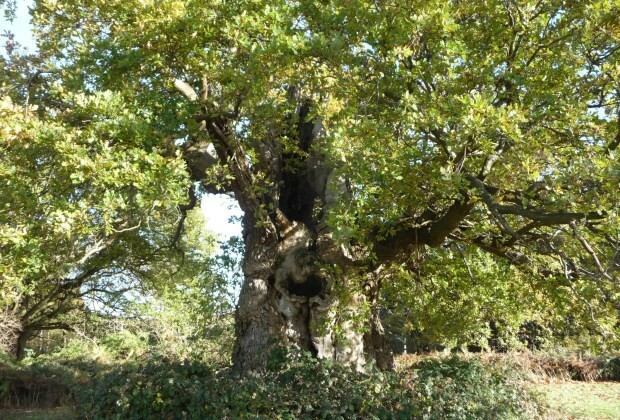 The site has an abundance of very old holly trees, ash and oak pollards and other ancient and veteran trees. There will be an optional site visit in the evening to the Herringston Estate. On the Friday, we will visit Minterne Gardens and estate, at Minterne Magna. The Minterne Valley was landscaped in the manner of Capability Brown in the 18th Century, with a chain of small lakes, waterfalls and streams. The gardens contain an unique collection of Himalayan Rhododendrons and Azaleas, and many other fine and rare trees, and in the wider estate there are some fabulous ancient oaks, some of which are notable for their Lobarion lichen community. 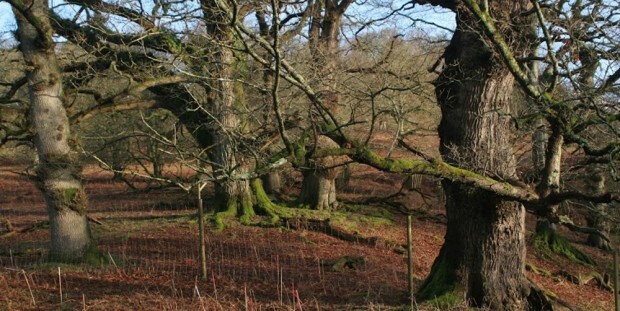 On the evening of Thursday 7 July, the Ancient Tree Forum will be hosting a Forum dinner at Kingston Maurward, which will be a great opportunity to network informally in a beautiful setting, whilst enjoying some good food. The meal will be held in the ornate Pengelly Room, which has views over the lake and grounds and a licensed bar, and on the outside terrace if weather permits. The hot buffet menu will include locally sourced meats like Dorset lamb and sausages, roasted vegetable kebabs and chocolate dipped strawberries. Packed lunches are available from Kingston Maurward if ordered in advance, or you can choose to make your own arrangements for lunch. Delegates will need to make their own arrangements for accommodation and transport, and information on local hotels, public transport and directions will be sent out to those who book. Dorchester is accessible by public transport and has a train station, but delegates will need their own cars to get to site visits. If you do not have a car, there will probably be people with space in their cars to give you a lift to the afternoon site visits. Thursday 7 is now fully booked, but there are a limited number of places left for Friday 8. 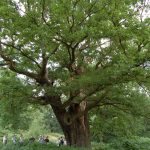 Please email admin@ancienttreeforum.co.uk if you would like to go on the waiting list for Thursday 7, or to check if there are still places before you book onto Friday 8. To book your place for each day of the conference, please click the ‘Book now’ button below. You will also be able to book packed lunches here, and a place at the hot buffet meal. The cost of the conference this year is £25 per person, per day. You can pay with debit card, credit card, or through a Paypal account if you have one by clicking the ‘Book now’ button. You can also complete this form if you are unable to book this way and need us to send you an invoice with details of how to pay by cheque or Bacs transfer. Email admin@ancienttreeforum.co.uk if you have any queries re booking, but please note that this email is checked on Monday mornings, and once later in the week so there may be a slight delay in responding. Please do not book on now without checking if places are available – see above. However, if you have had previously booked a place and we have asked for your payment, you can pay using the ‘Book now’ button.